The life of Dutch Jewish philosopher Baruch Spinoza spanned the mid-17th century, a time of some of the most crucial events and developments of early European modernity. It was an era of innovation and rapid change. During Spinoza’s lifetime the Protestant-Catholic Thirty Years War came to an end with the Treaty of Westphalia while civil war in England led to the military reign of Cromwell followed by the Restoration of Charles II. A resurgence of bubonic plague in the 1650s and 60s killed hundreds of thousands in the cities of Italy, Holland and England, leading to changes in the regulation of public space. In education, the universities of Europe began to substitute Cartesian and post-Cartesian philosophy for the long-standing dominance of Aristotelian scholasticism; in science, these were the decades of ferment between the towering achievements of Galileo and Newton. 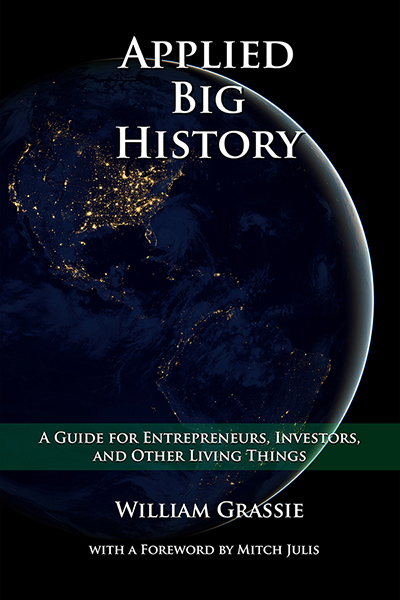 Beyond Europe, settlement and exploitation of the North and South American continents continued apace, while throughout South and East Asia Jesuit missionaries engaged the previously unfamiliar religious cultures of Buddhism, Shintoism and Hinduism. Our concern is a single text from this period: Spinoza’s Ethics. We ought to interpret this text not merely as an abstract metaphysical treatise, but in responsive relation first, to the concerns and possibilities of its original social and historical context and second, to the demands of our own day. In the relation between these two contexts – Spinoza’s and our own – we may undertake to grasp the import of the Ethics’s revolutionary revisioning of the terms of the ancient metaphysical triad: God, nature and human being. 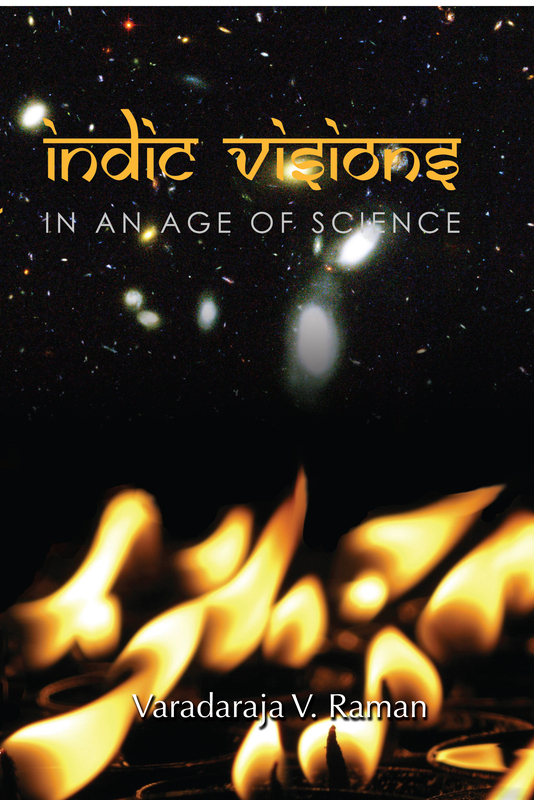 By rejecting the transcendence of God on the one hand and that of human being on the other, Spinoza developed a comprehensive metaphysical vision centered in the concept of an infinite and immanent natural cosmos. Quicquid est, in Deo est, & nihil sine Deo esse, neque concipi potest: “All that is, is in God, and nothing can be or be conceived without God” (Ethics 1p15). Spinoza’s metaphysics is thus constituted by a tension between multiplicity and unity. On the one hand the infinite diversity of modes is defined essentially through their particular ways of “striving to be,” or conatus. On the other hand the unity of substance, that is, God or Nature, implies a single universal cosmos ultimately indivisible into dualist terms such as God and world, subject and object, or mind and matter. The tension between modal diversity and substantial unity is resolved through the essential relationality of the modes themselves. All finite beings are, for Spinoza, inherently beings-in-relation, and the causal and affective interactions among them constitute a systematic unity, a single ordo & connexio (“order and connection”) of things and ideas.2 In its coordination of multiplicity, unity and relationality, Spinoza’s metaphysics distinguishes itself on the one hand from Jewish, Christian and Islamic theological traditions with their common conception of God’s transcendence with respect to nature. Yet the same naturalism distances Spinoza’s thought equally, on the other hand, from the more recent Cartesian philosophical tradition with its self-reflective ego cogitans. The implications of Spinoza’s monistic/infinitely pluralist philosophy of Natura were perceived in his own day to be potentially dangerous. Spinoza’s writings were suppressed throughout Europe for decades, only to return in the vehement contestations over Pantheismus in 19th century German Idealism and again in 20th century French and Italian radical political philosophy. Yet despite the nearly universal rejection of the ideas of the Ethics upon its initial publication and its marginalization from the mainstream of modern philosophy, the world portrayed by Spinoza in the Ethics – a universal Nature of which human activity is but a part – has today become an increasingly viable scientific hypothesis, perhaps even a cultural commonplace. 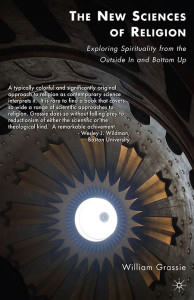 The prominent roles of science and technology in contemporary everyday life tend to call theological traditions and subjectively-based rationalism into question. Spinoza’s world is in many ways the world we collectively share and the world that has become an object of common and varied concern to us today. Constructing relations across difference is the key to interpreting Spinoza’s Ethics. Indeed the most intriguing recent work on Spinoza has come from interdisciplinary studies recognizing the relevance of his philosophy for areas as diverse as global politics and economics, literary theory and neuroscience.3 One element shared by these various interdisciplinary studies is an emphasis on the relational and affective character of Spinoza’s metaphysics. Spinoza’s philosophy shows how relationality and in particular the human capacity for language provides a model of human personhood in which subjectivity and identity exist only through mutually affective relations with the world and with others. As we rethink the conceptions of personhood bequeathed to us by modern philosophy in light of issues that have arisen and returned in multiple disciplines calling the sense of modernity itself into question, Spinoza’s Ethics offers a powerful way to conceive of the need for and the establishment of interdisciplinary projects. After first developing in more detail the ideas of personhood and language implied by Spinoza’s naturalism, we will turn to two specific cases in which the Spinozist model enables constructive interdisciplinary possibilities: first, linking philosophy with evolutionary biology; and second, engaging cooperation between contemporary philosophical and religious traditions. What is the status of persons in the world described by Spinoza’s Ethics? We have seen that Spinoza’s philosophy understands human beings as integral parts of an all-encompassing nature. For Spinoza persons, like all finite modes, are relational parts of nature which are individuated and understandable only in terms of the ways they affect and are affected by other beings. This doctrine of the affects is one of the most characteristic features of Spinoza’s thought.4 Shunning a static model of logical properties or predicates attributed to isolated and independent subjects, Spinoza conceives of the active relations through which individuals mutually constitute and transform one another as the primary and essential, not merely derivative features that characterize particular modes. Not only do affects bring otherwise distinct individual modes into relation, the modes themselves must be understood as relational in their very essence. In a certain sense, then, particular modes are themselves nothing but relations. Like all parts of nature, this would be as true of human beings as of subatomic particles, chemical reactions or termite colonies. This affective-relational model of language is not merely a theoretical element of the Ethics; it is equally a function of the textual-linguistic performance that the Ethics itself is. It is important to note that Spinoza’s Ethics is unique not only in what it says but equally in how its ideas are expressed and communicated. The “geometrical method,” or order of presentation in Spinoza’s text – based on the axiomatic-deductive structure of Euclid’s Elements of Geometry – provides a model of thinking that combines formal and logical relationships with a unique interplay of meaning and program. The “argument” of the Ethics proceeds not by strategies of persuasion but through the construction of new relations among already established results according to the rules given by initial definitions and axioms. It is not the terms of the Ethics that matter, but the ways they relate in ordered structures. Patterns of conceptual interrelation are more essential than any particular, isolated ideas. Entailed by the geometrical method is a distinct philosophical practice with respect to language. Meaning becomes subordinated to use, as semantic terms are replaced by systematic and practical relations. Because of the very form of Spinoza’s argument, the representational function of language is de-emphasized in favor of its practical, relational and affective aspects. Understood in this way, language is composed of both chaotic processes and formal procedures. It is, like Spinoza’s Ethics itself, a complex hybrid of immediate affective passions and rational forms. Just as Spinoza’s text communicates explicitly both at the rhetorical level of natural language and at the purely formal level of axiomatic-deductive structure, language itself must be conceived in the untellable complexity of its combinations and historical changes as coordinating singular affective events and formal procedures traced in common. At the affective level, language is always immersed in concrete social, cultural and historical contexts – the surprises and vicissitudes of natural human experience. On the formal side, language is distinguished by its being capable of reflexive self-correction and thus productive of rationally approximative habits. In this way, the progressive character of modern scientific knowledge is, at a profound level, one expression of the potential inherent in the essence of language itself. Such a coordination of science and signification is confirmed by the theories of 20th century semiotics and philosophy of science.6 Natural language on a Spinozist model is essentially related to but not identified with the formal methods and development of scientific knowledge. In this way Spinoza’s relational and affective model of language is able to account for both the socially constitutive functions of language and the systematic teleologies of scientific practice. It should be clear from our previous discussion that viewed in terms of Latour’s contrast of “emancipation” and “entanglement” models, the Spinozist conceptions of personhood and language conform much more closely to the latter. Part of what the Ethics shows us is that an entanglement narrative is consistent with a thoroughly naturalist metaphysics and a relational model of personhood. The details of Spinoza’s systematic reasoning open up practical insights for how to act and think with respect to such a model. For all of the sophistication of Latour’s analysis, he remains at a loss as to how to constitute in practice the shift to an entanglement model which he recommends at social and cultural levels. Spinoza’s philosophy offers methods for precisely this. The Ethics teaches us that relationality, or entanglement, is not opposed to freedom but is rather the very basis of freedom. In fact genuine freedom for Spinoza is in no way opposed to natural causation but consists rather in the increase of power and complexity concomitant upon productive, collaborative and communicative relations.9 One is free to the extent that one is able to affect a d be affected by the rest of nature in multiple, complex ways. Wisdom is neither theoretical knowledge nor disinterested contemplation, but rather the capacity to “do more things.” Such an idea of thought’s freedom as based in concrete relations entails renovations in the discipline of philosophy itself. In accordance with a relational model of personhood and an entanglement model of social and scientific development, philosophy’s own methods and practices need to be coordinated in active relations with other disciplines and traditions. Rather than standing absolute from the disciplines of science and the traditions of religion in a role of critic or judge, for instance, philosophy must risk the establishment of relations that would entangle it with these disciplines themselves. We will now turn to the two examples mentioned earlier of such potential relevance of Spinoza’s ideas to relations among philosophy, science and religion in an attempt to demonstrate how the relational model might encourage productive interdisciplinary and intertraditional entanglement. Our first case concerns the potential and actual relations between philosophy and evolutionary biology. It is clear that interest in these relations has arisen in both disciplines. On the one hand, evolutionary biologists such as Stuart Kauffman have come to see that scientific methods as applied to organisms and ecosystems must take into account the action of signification since the emergence of semiotic processes in nature is essential to the very origins and maintenance of life itself.10 On the other hand, philosophers like Daniel Dennett have taken evolutionary biology to provide grounds for new philosophical self-understanding and for a deepened critique of non-scientific traditions.11 So both Kauffman and Dennett agree that philosophy and biology must confer in addressing evolutionary processes, yet any possible relations between biology and philosophy would require ways of linking strictly scientific research with philosophical reflections on method, meaning and conceptualization as they themselves have developed as human, linguistically-mediated processes in nature and history. How can evolutionary science and philosophy become constructively entangled? While the study of human culture and development from the standpoint of evolutionary biology necessarily emphasizes the rootedness of social and intellectual processes in the natural exigencies of survival and reproduction, philosophy since the Enlightenment has usually understood itself – as in Latour’s “emancipation” model – in terms of an uprooting of human minds from the pregiven limits of tradition and nature. Thus the worry of philosophers who resist bio-evolutionary “contamination” is that conceiving of human reason in general and of philosophy in particular as products of evolution would reduce the freedom of human thought to the causal determinations of “merely” natural processes. Yet this reduction of human rational and cultural phenomena to biological processes of reproduction and selection would appear as a stale and sterile necessitarianism only if evolution is equated solely with competition and selection. If, in contrast, structures of emergent order are in fact intrinsic to evolutionary processes, as the research of Kauffman and others would suggest, then “reducing” human thought to evolution may be no reduction at all but rather a realization of thought’s natural productivity, increase and potentialization. Certainly, this naturalist conception of human thought would be by no means foreign to the way of thinking expressed in Spinoza’s Ethics. 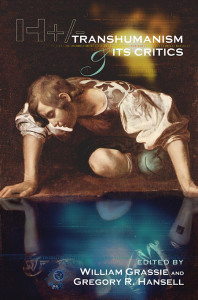 In addition, the relational focus of Spinoza’s Ethics is singularly situated within modern Western intellectual culture to provide both theoretical and practical frameworks for conceiving the interplay of natural and cultural processes in human contexts on the one hand and at the same time to serve as an actual key instance in the history of philosophy itself – with its varied semiotic processes and practical reinterpretations of tradition – of the early modern cultural, political, scientific and historical transitions whose consequences we inherit. Thus Spinoza’s philosophy may become a kind of test-case for understanding early modern forms of thought both as evolutionary products and as mappings of ways of life with continued evolutionary potential. Such encounters between philosophy and evolutionary science may very well entail transformations in the notion of evolutionary biology as a science. Naturalist philosophical reflection is able to show that one only studies evolutionary biology to the extent that one participates in its very movement. While this insight may be especially needed in evolutionary biology and its offshoots such as human sociobiology, it should be clear that Spinoza’s trenchant naturalism with respect to human beings and all of our endeavors would imply a corresponding methodological shift in all the natural sciences, a deepening of what at least in physics has been well-known at least since Heisenberg: measurement and observation inescapably affect what is measured and observed. Hence it becomes apparent that scientific knowledge is, ineluctably, a form of affective relation. In a parallel way, philosophy must risk its own transformations as it develops new relationships to the natural sciences. In constructive interaction with evolutionary biology, for instance, philosophy must learn to reflect more rigorously on the natural and social-historical contexts within which its methods and practices have arisen and must in addition address itself more thoughtfully to the specific needs and capacities of its interlocutors. One example here might be the important research being done around the themes of visual information processing and diagrammatic reasoning.12 The use of diagrammatic reasoning as a way to concretize logical form and to represent the dialogical and hypothesis-forming activities of collaborative work may find justification on biological and neuro-cognitive grounds. If the human brain has evolved to process information most readily through visual structures, then the nearly exclusive focus on linguistic and especially textual philosophical representation may appear as a retrograde or at least limited cultural formation. Spinoza’s own axiomatic-deductive method of demonstration may perhaps enable strong connections between the ideas of the Ethics and the mathematical and formal structures of scientific research, and its “geometrical” discursive form may readily lend itself and such scientific connections to diagrammatic expression. What new thoughts and practices may emerge when philosophical traditions such as Spinozism coordinate over time with scientific communities and new technologies to organize and create unprecedented fields of relation? Our second example draws upon Spinoza’s concept of relational identity to rethink possible connections between contemporary philosophical and religious traditions. One important aspect of the Western philosophical tradition that was almost entirely lost in the transformations of early modernity was the understanding of philosophy in terms of spiritual discipline and practice. For the majority of ancient Greek schools, philosophy was not primarily a theoretical orientation towards the world but was rather a form of individual and collective life made manifest through specific activities. This was true of Pythagoreans and Platonists as well as of Stoics, Epicureans and Skeptics. Pierre Hadot in particular has shown how such practices organized the ancient traditions of Greek philosophy and how their loss has deprived modern philosophy of much of its meaning.13 When the ideas and goals of classical philosophy were revived especially in the Neoplatonic renaissance of 15th and 16th century Europe, the practical emphasis on worldly virtue was a core part of philosophy’s particular appeal. It was only with the later spread of merely academic philosophy that the ideal of philosophy as a practical form of life was lost. This process had begun already in the 17th century as Cartesianism contended with Scholasticism in the universities, but it reached its fulfillment with the rise of the “university professor” model of philosophy in 19th century Germany and elsewhere. Today, despite the immense variety of Western philosophical schools and traditions not only throughout Europe and America but worldwide, very little serious work is considered philosophy that does not take place primarily or solely through a theoretically oriented understanding of philosophy organized by printed media, lectures, conferences and so on – that is to say philosophy as talk, not as deed and certainly not as spiritual virtue. Despite the nearly total disappearance of practical disciplines from the various Western philosophical traditions, however, such practices still remain essential elements of religions, both in personal and collective ritual. In today’s world no one could seriously argue that religious traditions have little measurable effect on human lives and communities, as one might quite rightly claim about contemporary philosophy. In the development of communicative relations across philosophical and religious traditions the effects of such ritual practices may perhaps become manifest in philosophy once again. 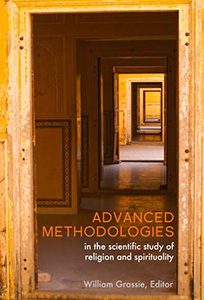 First of all, remaining in a purely academic context, the discipline of religious studies with its sophisticated tools for the analysis and description of collective ritual and spiritual practice may take Western philosophy – especially ancient and early Renaissance philosophy – as an object of study. In this way, an understanding of the philosophical tradition in its history and in the transformations of its methods and practices may be pursued especially productively from the perspective of religious studies.14 The research of this “external” discipline may then have much to show philosophy about some of the occult niches of its own history (such as, perhaps, Spinozism) and the limits of philosophy’s contemporary forms. In one way or another contemporary philosophy must recover its ancient orientations towards lived practice. Of course many resources for this may be found in the records of the ancient schools themselves (intratraditional relations, or hermeneutics), but philosophy also has much to learn from the practices of the religious traditions which, in accordance with the emancipatory model of Enlightenment modernity, philosophy has so often rejected or simply ignored. Foremost among these practices may be those of collective study and dialogue. For instance, the highly ritualized dialogical practices developed in the philosophical schools of Tibetan Buddhism may have something to teach Western philosophy, as might the social-textual practices of Jewish Talmudic study and Islamic jurisprudence or the ritualized disciplines of Meso-American shamanism.15 It is possible that such practices find or create analogues within the philosophical traditions. Yet more importantly, new collaborative practices between philosophy and religion are likely to emerge from such encounters, creating new complex relational potential. The practical consequences of such a model appear as follows: On the one hand, communicative and collaborative practices, rather than a representational, comparativist model, become the primary mode of scholarly relation between philosophy and religions. This applies especially to the conception of intertraditional dialogue. We aim then at a different set of purposes by pursuing a different set of questions. No longer do we ask: What can philosophy and religion agree on? or What do they disagree about? We ask instead: What can philosophical and religious dialogue do or construct together? and What affective relations can religious and philosophical traditions form? According to the intrinsically relational notion of identity developed in Spinoza’s Ethics, the formation of such new relations would necessarily imply the mutual transformations of philosophical and religious traditions themselves. The risk of self-transformation is a risk philosophy must take if it is to remain a relevant factor for the events and decisions of today’s world. Philosophy must find ways to communicate with and learn from religions. In this attempt, it is worth noting that Spinozist philosophy, because of its affective basis and unique discursive form, offers itself as one philosophical tradition that readily communicates and interacts with other diverse forms of thought and practice. If, as Latour suggests, a theoretical shift away from the emancipatory narrative of modernity towards a relation-based entanglement model offers hope for breaking contemporary deadlocks of global ethical and political action, then Spinoza’s Ethics may help to construct the needed interdisciplinary and inter-traditional entanglements of our time. 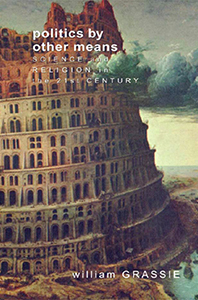 If we ourselves, our institutions, our academic disciplines and our cultural and religious traditions are not merely accidentally but essentially relational, as Spinoza’s philosophy maintains, then it becomes imperative to find ways of encouraging strong and flexibly adaptive relations among the best elements of the world’s manifold human traditions: philosophical, religious, scientific, artistic. Within these traditions, we must seek out instances of thought, expression and action that, like Spinoza’s Ethics itself, contain an internal impetus towards constructive relationality. We have seen how the relational model of personhood and the affective-practical conception of language in Spinoza entail new practices of interdisciplinary relation between philosophy and the natural sciences on the one hand and between philosophy and religious traditions on the other. In both cases, the new object of relational study and the aims of interdisciplinary research must themselves be practiced as collaborative and experimental methods. In this way our very understanding of study and theorization becomes transformed. New forms of interdisciplinary study necessitate new methods – ones of participation, not detached objectification. Spinoza’s Ethics offers ways to conceive and to implement such interdisciplinary possibilities, particularly through integrating a relational conception of personhood with an entanglement model of collectivities, traditions and forms of discourse. The concept of relational personhood thus opens out onto a more general framework for rethinking the constructive relationality of social groups, academic disciplines and interdependent ways of life.